Indian man in the morning submitted to ‘Exploring Time’ on National Geographic. Kristian Bertel has contributed to the National Geographic Your Shot community with an assignment called ‘Exploring Time‘. Curated by Diane Cook and Len Jenshel, who are National Geographic photographers, this assignment is about to photograph time. Photographs and photos have a special relationship with time and the very process of making an image involves time exposures of shorter or longer durations – and the end result is a moment of time. For this Your Shot assignment Nat Geo wants us to delve into describing the idea or concept of time. They are looking for images that encapsulate time, defining what a particular hour of the day looks like, tells a story about time, or captures a moment of time that clearly shows what life looks like at – say midnight, or 5:00 AM, or noon. With clarity, coherence, and a point of view, show them a segment of life that defines a specific time, in the cycle of a 24-hour day. The goal of this assignment is to publish a final story, with a full 24 hours in the life of the Your Shot community. We should think about what moment, scene or activity that is telling us what a particular hour of the day look like. How we are framing it and what details are important to include. The published story on National Geographic will start with an image taken at midnight and then we should show different hours throughout the day and world in their photo community. As Diane and Jen are saying it: ”- We want you to explore different landscapes and how they appear during the golden hour of sunset or during the early morning sunrise. Watch how the light shifts during different times of the day and explore new angles and perspectives to show us views we have not seen before. As you’re out capturing these moments remember to take note of the exact time the photo was taken as well as the location, and add this information to your caption”, they say. Time-use research is a developing field of study. The question concerns how time is allocated across a number of activities such as time spent at home, at work, shopping and so on. Time use changes with technology, as the television or the Internet created new opportunities to use time in different ways. However, some aspects of time use are relatively stable over long periods of time, such as the amount of time spent traveling to a destination such as India, which despite major changes in transport, has been observed to be about 20 to 30 minutes one-way for a large number of cities over a long period. Hinduism describes units of Kala measurements, from microseconds to trillions of years. According to Hinduism time is cyclic, which repeats itself forever. It is human nature to try to organize the world. Faced with a great deal of information most people want to group some of it together to help create order and simplify how they understand the world. This works well when grouping, for instance food groups or types of animals, we can use this shorthand to communicate without having to describe individual characteristics of the food or animals in the group. However, when it comes to grouping people, there are much larger and potentially dangerous implications. The control we think we have over circumstances is frequently an illusion and can lead to a lot of wasted energy. Much can be gained by watching, listening, waiting and then acting when the time is right. “Indian time” is really about respecting the “timeliness” of an action. It makes more sense to plant crops when the weather is right than when the calendar says it is time. What a mistake it would be to take this traditional concept of timeliness and develop a misperception that contemporary Indian people are frequently late. With the photographer’s submitted photograph for this assignment he respectfully wants to photograph the morning light in India. 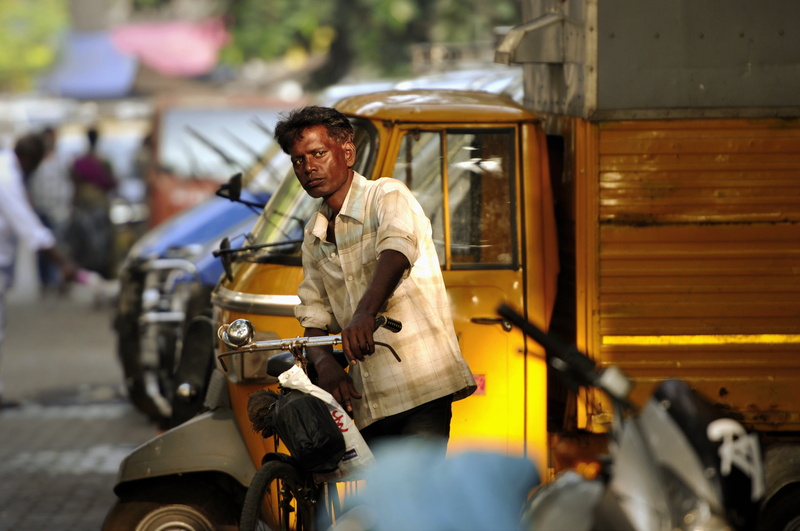 In this portrait an Indian man has been photographed in the morning hours of Mumbai. From the beginning of of the day as in the morning time the golden hour can be seen. It is a short period of time after sunrise, where the light is almost magical. ”- When I began traveling in India, I learned the origin of the phrase ‘Indian time’ and I came to understand that traditionally Indian people were very good peoples of nature. They studied the seasons and the animals to learn how to live well in their environments. Given this, they learned that it’s important to be patient and to act when circumstances were ‘ripe’ rather than to try and force things to happen when circumstances did not support them. I have come to understand it’s a Western idea that we can control most circumstances and that we should run our lives by the clock and the calendar”, the photographer Kristian Bertel says.